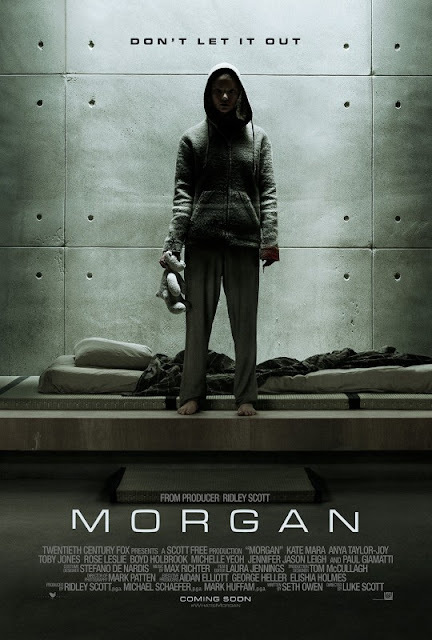 Directed by the son of Ridley Scott, 'Morgan' is the debut film from Luke Scott, revolving around an artificial life form [gone rogue]? Starring Kate Mara as a risk management consultant, tasked with determining whether or not Morgan should be shut down, the film at first draws comparison to last year's indie hit 'Ex Machina'. But unlike Ava, Morgan seems to be far more bloodthirsty and malevolent. The teaser is a thrilling glimpse into what Morgan is about, and only when it is released, will we see how it pans out, but it certainly looks to be horrifying. I wanted to develop a brief word so as to thank you for some of the fabulous information you are writing here. My particularly long internet search has finally been recognized with reliable knowledge to go over with my colleagues. fabulous network with many perfect people with good basics. webpage and look forward to plenty of more fun minutes reading here.